While South Africa undoubtedly has a long, rich, and intriguing history, it also has an equally rich collection of UFO and alien encounters that rival almost anywhere in the world. Furthermore, these sightings have seemingly been increasing steadily since the early 1970s. While some are more credible than others, much like anywhere else in the world, all of them are intriguing. And many of them share details with other UFO sightings, separated not only by distance but, in some cases, by time. 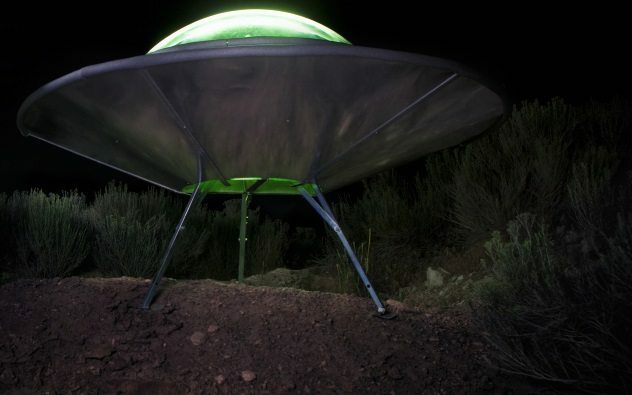 Here are ten of the most fascinating UFO accounts from the equally fascinating country of South Africa. Just before midnight on January 3, 1979, Meagan Quezet was about to make a cup of tea to help her 12-year-old son, Andre, to sleep. As she made her way toward the kitchen, she heard the family dog, Cheeky, barking excitedly outside. As she opened the door to see what the matter was, she caught sight of Cheeky heading out of the garden and up the road toward a new and unlit link road. Asking Andre to come with her, they followed their dog, worried that his barks would annoy the neighbors. As they arrived at the link road, each could see a glowing pink light, and as they went closer, could see that this light was “encasing” a gray metallic craft that was descending. As it settled on the ground, four “spider-like” legs stretched out and touched the ground, supporting the weight of the egg-shaped object. Six humanoids emerged from the craft and inspected the surroundings. Two of them noticed Meagan and Andre, walked over, and greeted them in a language unknown to the pair. Although she initially felt no fear, Meagan suddenly had an uneasy feeling come over her. She began to back away when, in what seemed like less than a second, all of the crew were suddenly back inside the craft, and the door from which they had emerged was closing. A buzzing noise like a “hive of bees” sounded out before the craft shot into the air, becoming nothing more than a distant pink light in a matter of seconds. Meagan would report the incident the following day, and investigators found a corroborating account from an unnamed husband and wife who were driving along a nearby road at the same time when they saw an “oval-shaped” craft with legs. 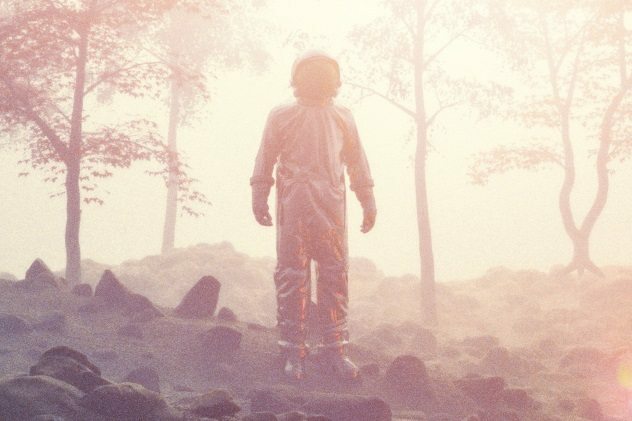 What is surely one of the most bizarre encounters in UFO history occurred in Roosboom early in the morning on August 21, 1972, when Doris Muthwa and her 12-year-old daughter made a report of a strange sighting. Both amazed by the scene unfolding before them, the mother and daughter watched as the figure then began to rise from the ground. Doris would later estimate the “man” to be around 335 centimeters (11′) tall, and after steadily hovering above the ground, he “shot into the sky,” vanishing in an instant. The pair reported feeling a sensation akin to receiving an electric shock run throughout their bodies during the encounter, leading investigators to suggest some kind of electronic wave technology. Interestingly, less than a week previously on August 16 in the same area, Elias Khosa reported seeing “a monster” with “small flames burning around its feet.” It, too, would speed away in a flash of flames and smoke. In late 1972, a woman who preferred to withhold her name was subject to a bizarre abduction experience. While lying on her bed one evening, she suddenly heard what sounded like a low-flying helicopter outside her home. As the sound persisted, she began to feel a rattle around the house, before a “whirlwind” sensation enveloped her. In a moment, and with no memory of how she got there, she found herself in a strange room with several robotic-looking beings surrounding her. They were performing various tests and examinations, and all the while, they spoke to her using telepathy. She didn’t understand the nature of the tests, but she experienced no pain during them and was not frightened at any stage. She was returned to her room shortly after. Perhaps more bizarre, and certainly something to provide ammunition for skeptics, were the subsequent claims she would make of one of the “robot aliens” visiting her again shortly after, claiming they had left a piece of equipment in her leg. As he was driving along a quiet road in the equally quiet and small town of Rosmead on the evening of November 12, 1972, Harold Truter noticed a strange green glow over the tennis courts of Rosmead Junior School, of which he was principal. He headed toward the complex and pulled his car up to the school gates. He ventured into the grounds on foot. The lights were still visible, but there was a thick, unusual silence settled over the area. Truter at least expected to hear some kind of engine noise cutting through the night air. He did begin to pick up the scent of “burned oil,” however, a smell that grew stronger the nearer he got to the tennis courts. As he peered through the chain-link fence, the green light now faded somewhat, he was shocked to see the asphalt burned and cracked. There was even a “pool of molten tar,” which reflected the moonlight. Also present were several strange holes, as if something heavy had been resting on the asphalt when it sank slightly as it melted. Truter would contact the local police, who would arrive to take an official report and a statement from the principal. An explanation was never forthcoming from the police, but they did inform Truter while taking his statement that several other UFO sightings had been reported by Rosmead residents that evening. In May 1974, married couple Peter and Frances MacNorman would set off on their return journey from Sailsbury, Rhodesia, (now Harare, Zimbabwe) to Beit Bridge at the border with South Africa. They would drive through the night, with parts of the road being twisty and hard to negotiate. It was around 2:30 AM when Frances noticed a strange light behind them. She informed her husband, who saw it, too. It began to come closer, and soon, it was level with them on their left and moved alongside for some time. Peter, suddenly realizing he was traveling in excess of 145 kilometers per hour (90 mph), eased his foot off the gas. The car, however, continued at the same speed. He tried the brake, and nothing happened. He wasn’t in control of the vehicle. The next thing they knew, they were approaching the South African border. As they had their details checked, they noticed the clocks at the border read 8:30 AM. Each checked the car clock as well as their watches, which clearly read 7:30 AM. As well as this apparent “missing hour,” neither had a clear memory of the journey home, and what little they could recall was of driving on a long, straight road. (Remember that the route was full of twisting roads.) Even stranger was that their vehicle still had a full tank of gas despite their apparent 320-plus-kilometer (200+ mi) journey. Strangest of all, however, were the four brand-new tires which neither recalled purchasing or fitting. Peter would eventually undergo hypnotic regression, and the revelations were as intriguing as they were outlandish. Shortly after the light appeared, a large-headed alien “beamed into” the back seat of the car. The vehicle was caught in a strange tractor beam and was lifted from the ground and landed inside a huge ship above. Peter was taken to a “sickbay,” where he was examined for several moments. Even stranger, he claimed to see his wife and other people on board, although they appeared to be in a trance. Incidentally, he caught sight of his vehicle, parked in between two smaller discs with four aliens performing repairs on the engine. 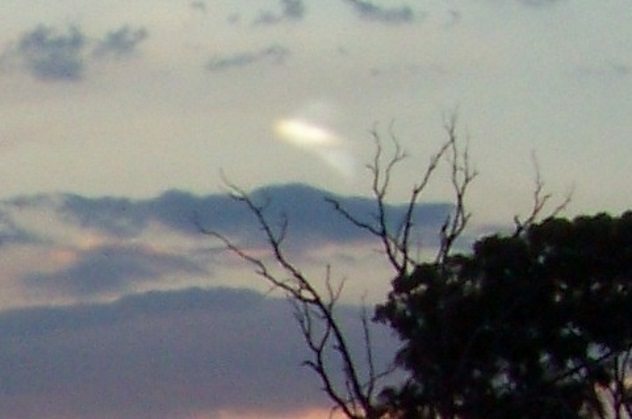 In late July 2010, on two successive nights, multiple residents in the Booysens area of Pretoria witnessed strange lights hanging in the skies above them for several hours at a time. 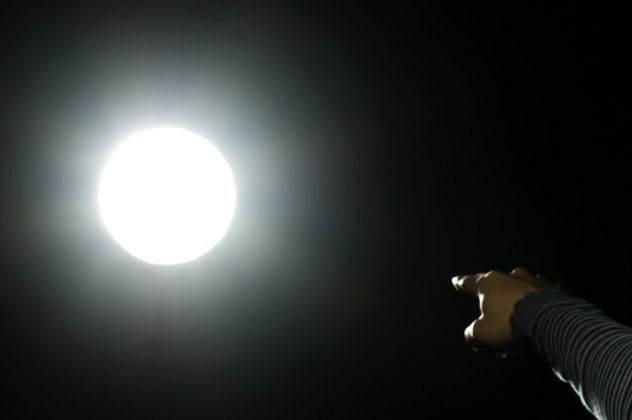 One witness, Engela van der Spuy, witnessed both of the sightings and stated to the media that she “couldn’t make out the shape of the object because the three lights were too bright” but that it appeared to have a heart shape. On each occasion, the object would hover in the air motionless for over two hours and then proceed to calmly head away from the city, disappearing over the horizon. Even the times of its appearance and departure were the same on each evening. The object would arrive at around 6:30 PM and leave the area a little after 8:30 PM. Incidentally, authorities contacted both the South African Air Force and the Johannesburg Planetarium in an attempt to shed a little light on the strange sightings. Neither, however, could offer any corroborating data or an explanation. 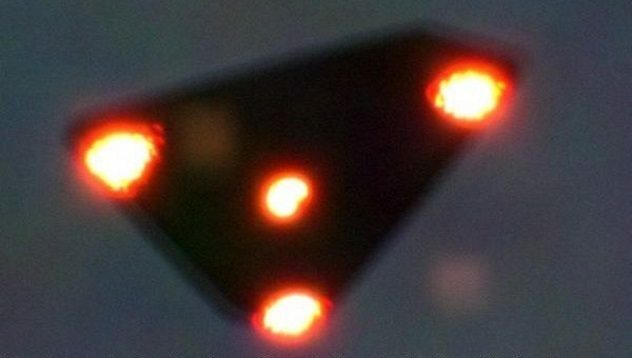 Almost 20 years earlier on April 7, 1991, came a sighting of a “triangular craft,” again in Pretoria, this time in the Baviaanspoort region of the city. The event was witnessed early in the evening by an entire family. The object, which featured “white star-like lights on each extremity” as well as a red light in the middle, hung silently overhead. Sightings of a similar craft were reported on consecutive evenings on April 8 and 9 in the nearby township of Eersterust. What is particularly interesting about these sightings is how much they resemble sightings of similar UFOs (example pictured above) over Belgium the previous year, famously known as the Belgian UFO wave. The encounters over Belgium featured some of the most intense investigating in recent times as well as unprecedented cooperation from the Belgian government and military. Another report of a strange glowing craft over Pretoria comes from August 28, 1996. And on this occasion, radar operators in Johannesburg would also confirm the anomaly. 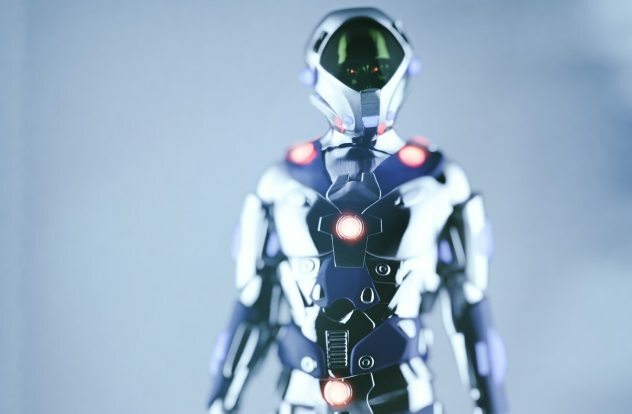 The initial sighting was made by a police officer, Sergeant Johann Becker, who stated he saw a “light floating in the air” over the Adrian Vlok police station. Upon closer inspection with a colleague, they realized they were looking at “something from another world.” According to Becker, the object was distinctly disc-shaped, with a “red triangular light” which glowed slightly. The craft suddenly moved off as the helicopter approached, and although Vijoen would attempt to give chase, the object was too fast, and the helicopter, despite going full speed, struggled to keep up. Eventually, they were forced to return to base due to low fuel levels. The evening of November 18, 1993, was a very strange one for the residents of Sasolburg. As multiple witnesses looked on in awe, a water droplet-shaped craft headed in the town’s direction. It would hover overhead for several moments before suddenly vanishing in a great flash of light. Before people could gather their thoughts, only minutes later, the same object was back overheard. This time, it appeared to change both shape (to a cigar shape) and color (from yellow to orange and back), before returning to its original form and hanging motionless in the sky once again. Stranger still, a blue beam would project directly downward and then cut out without incident. Once more, in a sudden flash, the object vanished from sight. Two months later, strange imprints were found on farmland in a nearby town. Although it is only speculation, it was noted this could have been a landing spot for the UFO witnessed over Sasolburg that November evening. 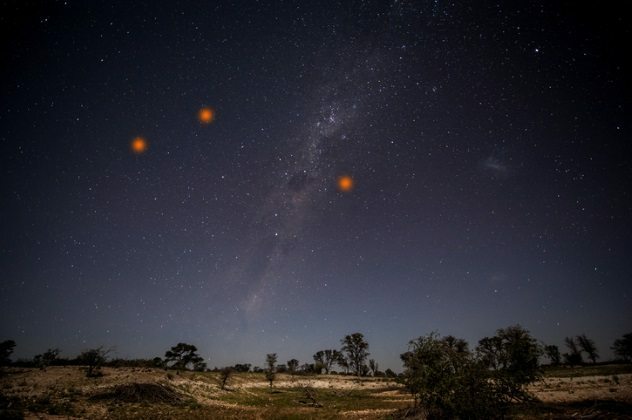 Although the majority of them came in May, much of 2011 was subject to sightings of strange orange lights throughout all of South Africa. One report from Tierpoort, for example, would speak of 20 orange lights speeding through the sky above. Another resident of Tierpoort, Charlotte Grub, claimed she saw a group of around seven orange lights passing overhead. 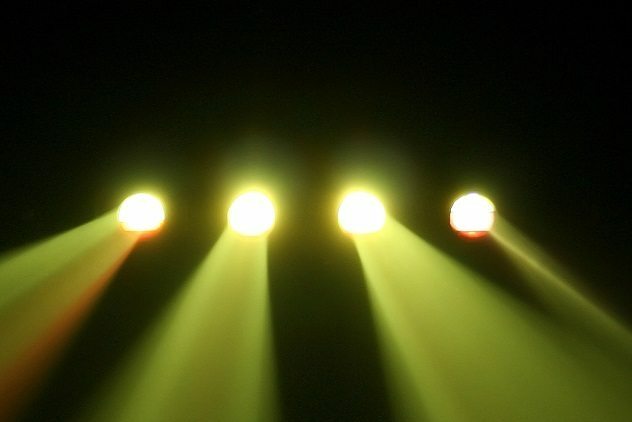 A Krugersdorp resident, Bernadette Opperman, would report a single orange light flying over the city on the evening of May 21. 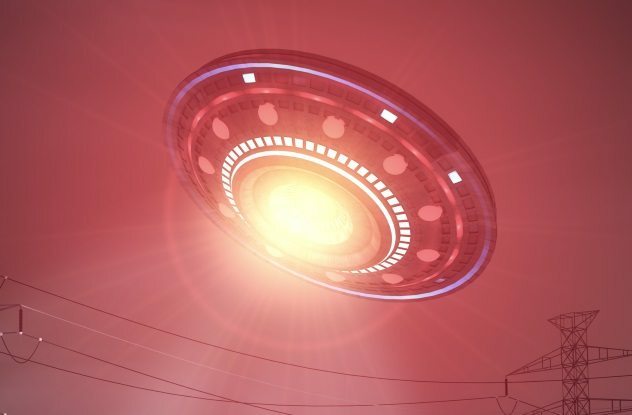 Several reports from the Warrenton region would speak of orange lights zipping through the sky and into what appeared to be a huge mothership. Explanations were offered that the orange lights were nothing more than meteor showers. While UFO researchers accepted that this very well may account for a good portion of the sightings, other reports that detailed strange movements were not at all in line with how meteors or comets behave. The wave of sightings is still collectively unexplained. In November 2015, bizarre sightings of green lights piercing the skies over Cape Town set social media alight, with many residents capturing their sightings on film, either with a picture or video footage. 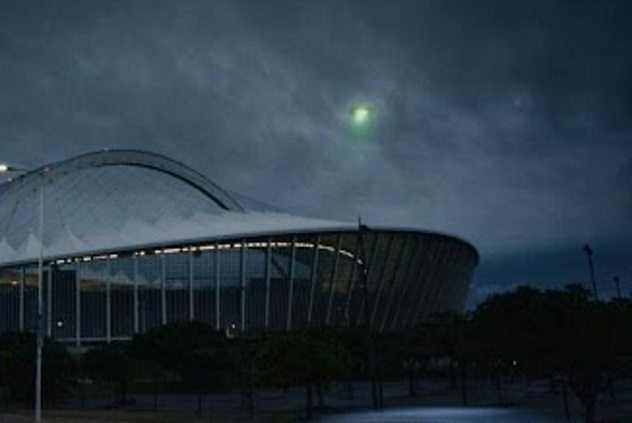 The South African Astronomical Observatory rather ambiguously offered that the anomaly was a “test for light show equipment” at the sports stadium in Cape Town. However, when asked for comment on the assertion, stadium officials stated they were “unaware of any light equipment tests,” and then, just as ambiguously as the observatory, they offered that the lights were “probably some sort of marketing campaign” but that they didn’t know anything about it. Read about more places’ unexplained sides on 10 Truly Bizarre Incidents From The Bass Strait Triangle and 10 Amazing Stories Of Australian Paranormal Phenomena.